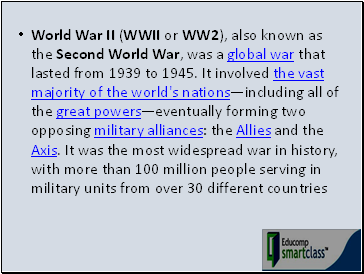 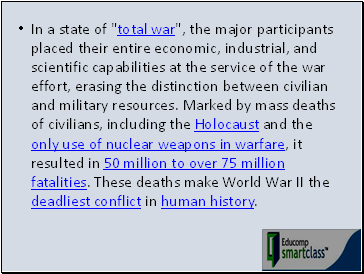 In a state of "total war", the major participants placed their entire economic, industrial, and scientific capabilities at the service of the war effort, erasing the distinction between civilian and military resources. 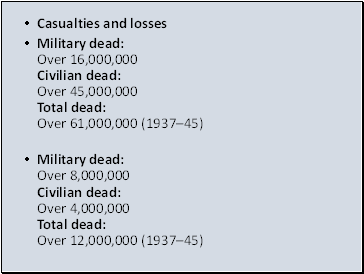 Marked by mass deaths of civilians, including the Holocaust and the only use of nuclear weapons in warfare, it resulted in 50 million to over 75 million fatalities. 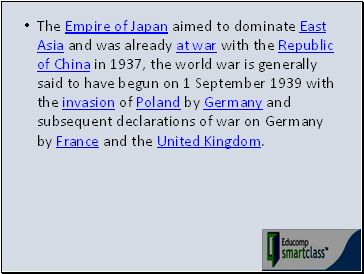 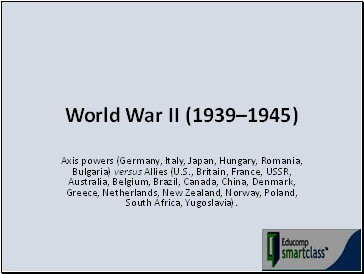 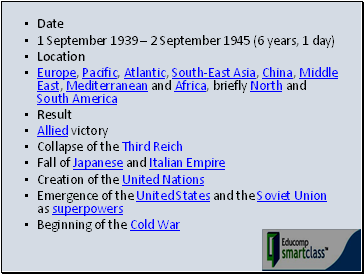 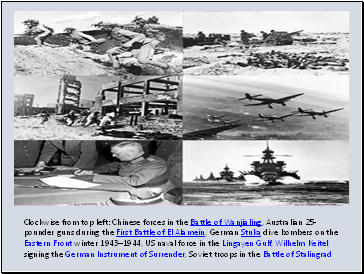 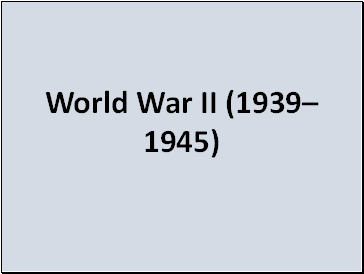 These deaths make World War II the deadliest conflict in human history.